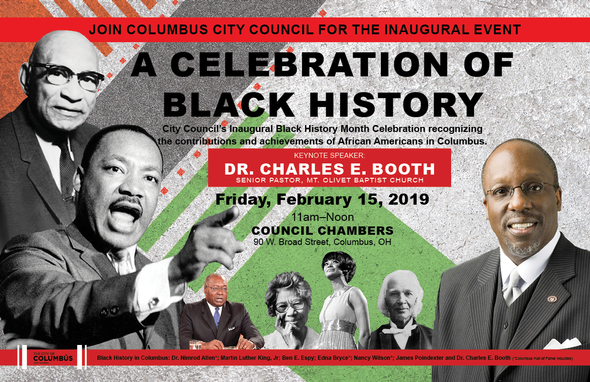 Columbus City Council presents a celebration of African American history in the success and shaping of Columbus. For the first time in history, Council is dedicating a ceremony to acknowledge the achievements and contributions of African Americans in defining America’s Opportunity City. Keynote Speaker: Dr. Charles E. Booth, Senior Pastor of Mt. Olivet Baptist Church.